The country’s longest-running English newscast “The World Tonight,” is moving to a new timeslot on the ABS-CBN News Channel (ANC) beginning Monday (January 12). With a longer running time of one hour, it is a newscast complete with the day’s most important local and global stories. 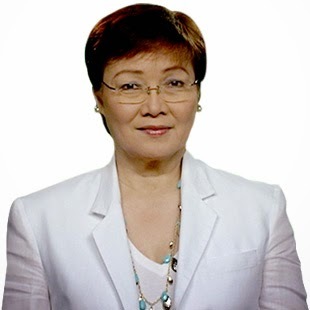 Veteran journalist and “The World Tonight” supervising producer Luz Rimban said the relaunch is meant to revitalize the program as ANC’s flagship newscast by beefing up its content with more storytelling and interactive stories, gathering a core of veteran anchors and digital journalists, and extending its running time, allowing for a deeper look at issues relevant to the viewers. “We’re looking at this as one of the steps of the internationalization of ANC and ‘The World Tonight.’ We intend to bring news to an audience that are not just Filipinos but also foreigners in the region, of course with a Filipino perspective,” Rimban said. “The World Tonight,” which will come in at 9PM as ANC’s first evening news program, is bringing in a team of the most trusted names in news to cover various issues. Main anchor Tina Monzon-Palma will be joined by: Tony Velasquez for political and economic issues, Coco Alcuaz and Warren De Guzman for business, TJ Manotoc for sports, and Marie Lozano for entertainment, culture, and lifestyle. Columnist extraordinaire Teddy Boy Locsin, completes the cast with his “Teditorial” segment. “Our mission and our vision is to produce premium original content, and take a wider view of events in the country and region to help viewers make sense of the world,” added Rimban. A public servant whose career in journalism has spanned four decades, Tina Monzon-Palma will also serve as “The World Tonight’s” managing editor and will contribute special reports on her social and economic causes. Following this movement, ANC, the country’s most trusted 24/7 news channel, will host changes to its weeknight programming. Its current affairs and lifestyle programs will now air at 6 PM from their former 9:30 PM timeslot. The lineup includes sports talk show “Hardball” on Mondays, lifestyle magazine show “Green Living” on Tuesdays, documentary program “Mukha” on Wednesdays, “Storyline” on Thursdays, and lifestyle magazine program “Cityscape” on Fridays. Top-of-the-hour news headlines will be delivered by Tony Velasquez at 6 PM, 7PM, and 8PM to provide an overview of stories to be reported on “The World Tonight,” while ANC’s main business news platform “Business Nightly” will air right after “The World Tonight” at 10:30 PM. On weeknights, an hour devoted to documentaries will air at 8PM, while personal finance program “On the Money,” the first-of-its-kind on Philippine cable television, will have its first airing at 6:30PM. Remaining at their 7PM timeslot are current affairs programs “Talkback with Tina Monzon-Palma” on Mondays, “Beyond Politics with Lynda Jumilla” on Tuesdays, “Future Perfect” and “Inside Business” on Wednesdays, “Shoptalk” on Thursdays, and “Square Off: The Firm Debates” on Fridays. Know what’s happening here and abroad on the revitalized “The World Tonight” weeknights at 9PM on ANC (SkyCable Channel 27). For updates, like www.facebook.com/ANCalerts, follow @ANCALERTS on Twitter, or visit anc.yahoo.com.